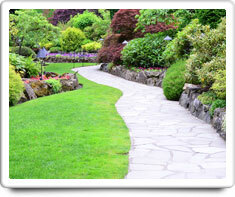 Lawn & Landscaping includes: grass; shrubbery; trees; gardens; and other planted areas in your yard. If you have Automatic Sprinklers, a Barbecue Grill, Decking, Outdoor Lighting, Outside Water Faucets, or Patio Furniture, then you should put checkmarks as appropriate to include these as part of your home features in your Home Wizard app. Maintaining a healthy and attractive lawn requires proper maintenance during each season of the year. Automatic Sprinklers, Barbecue Grill (gas), Barbecue Grill (charcoal), Barbecue Grill (hibachi), Decking and Patio Furniture. Shown in the 'Routine Care' section are the recommended routine maintenance tasks for your lawn & landscaping. The 'Q & A' section shows answers to common questions. And the 'Articles' section provides helpful articles about your lawn & landscaping.